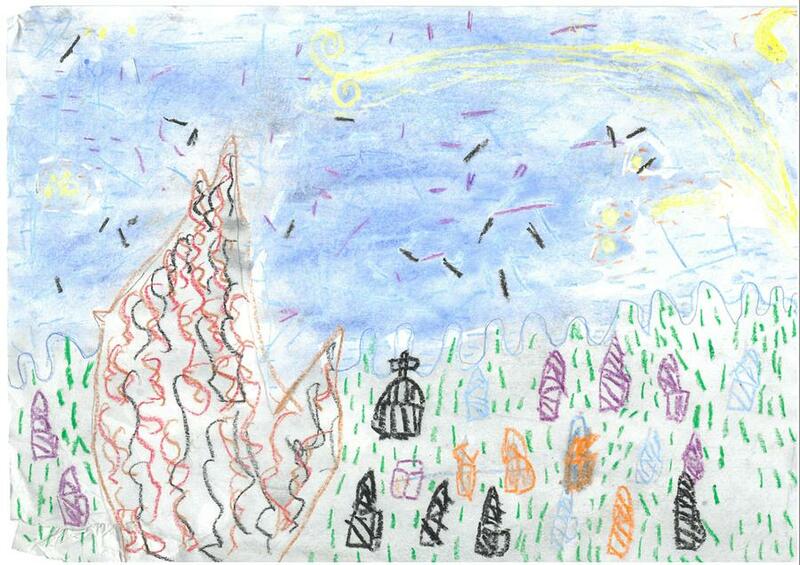 Our new topic is "Splendid Skies", this will broaden our knowledge of the weather within the United Kingdom and further away. 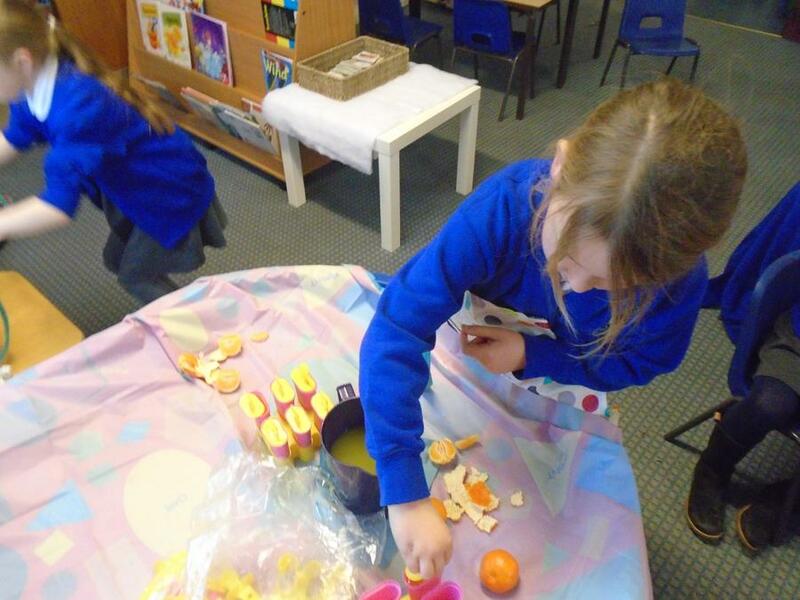 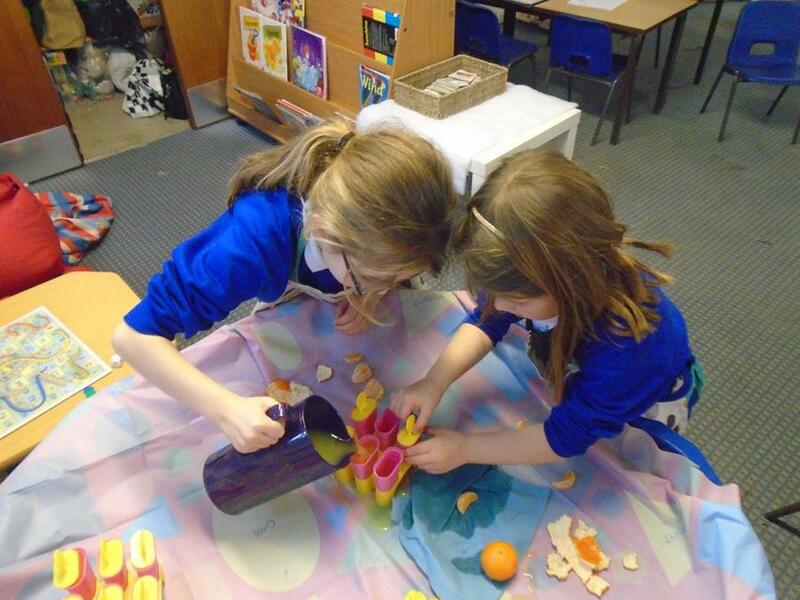 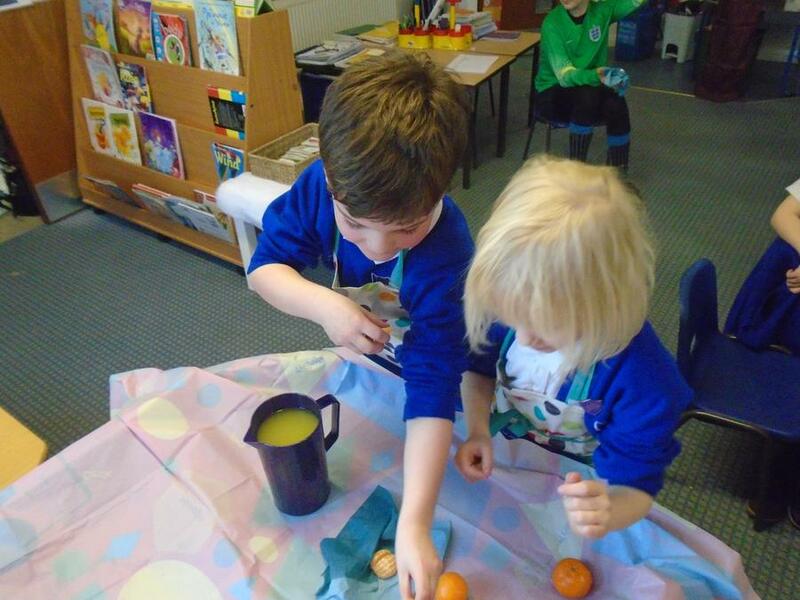 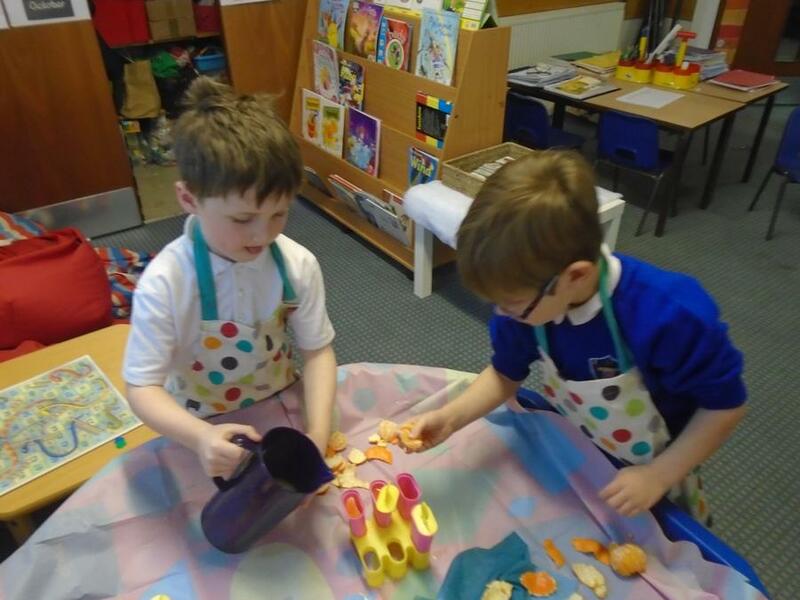 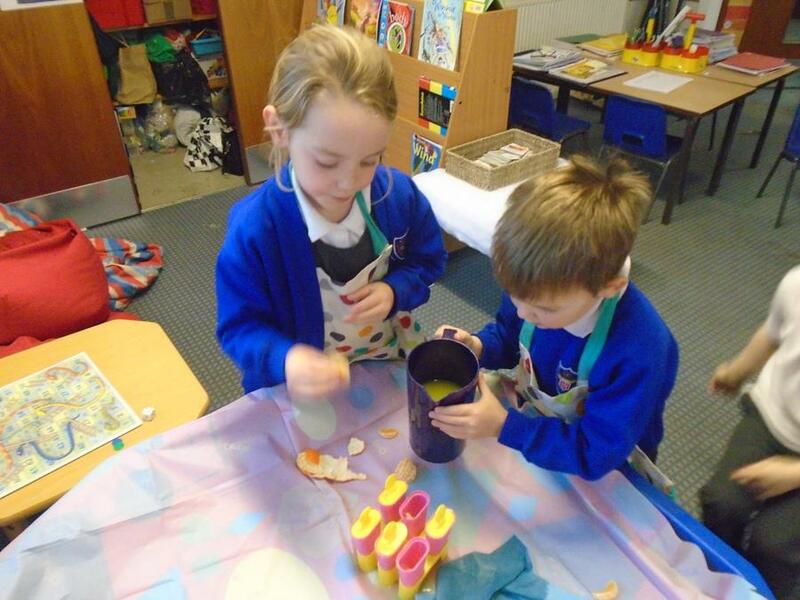 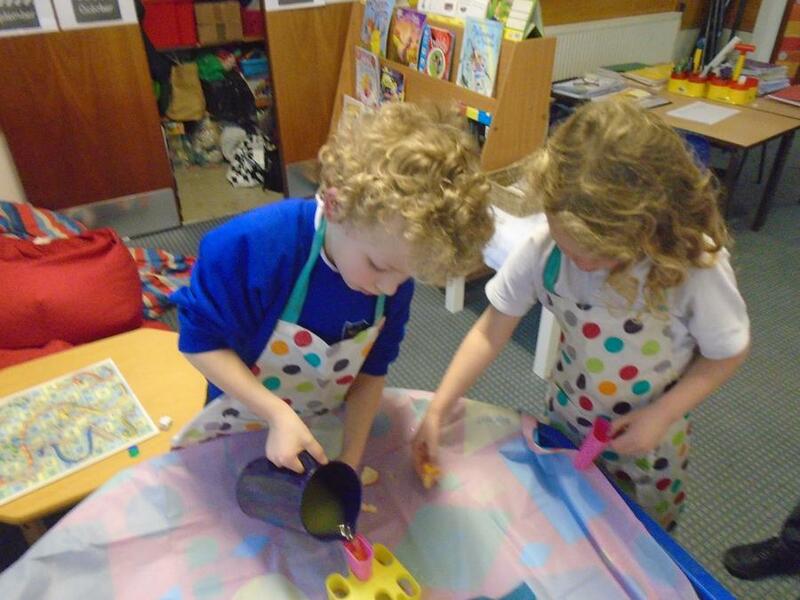 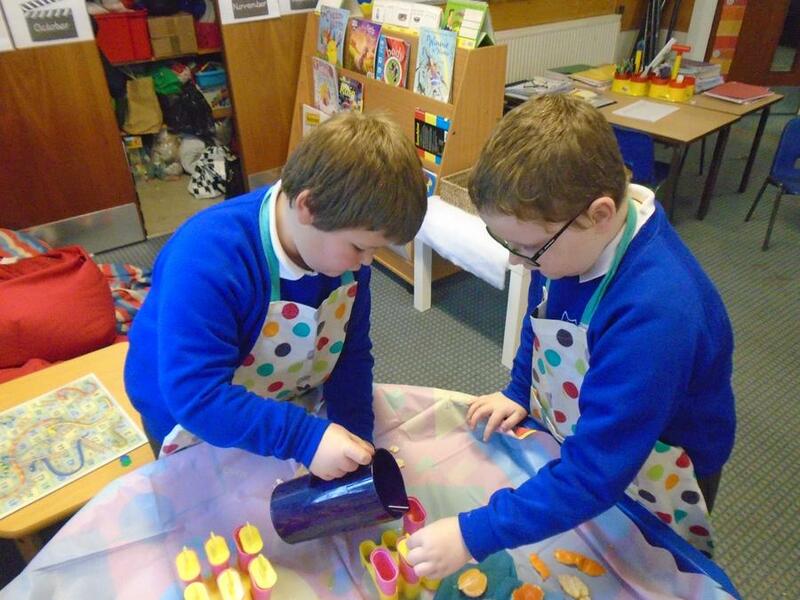 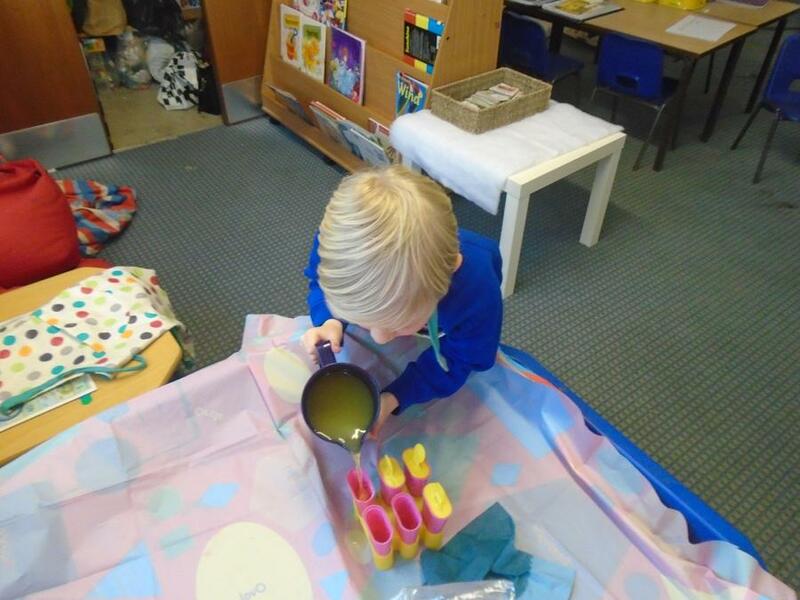 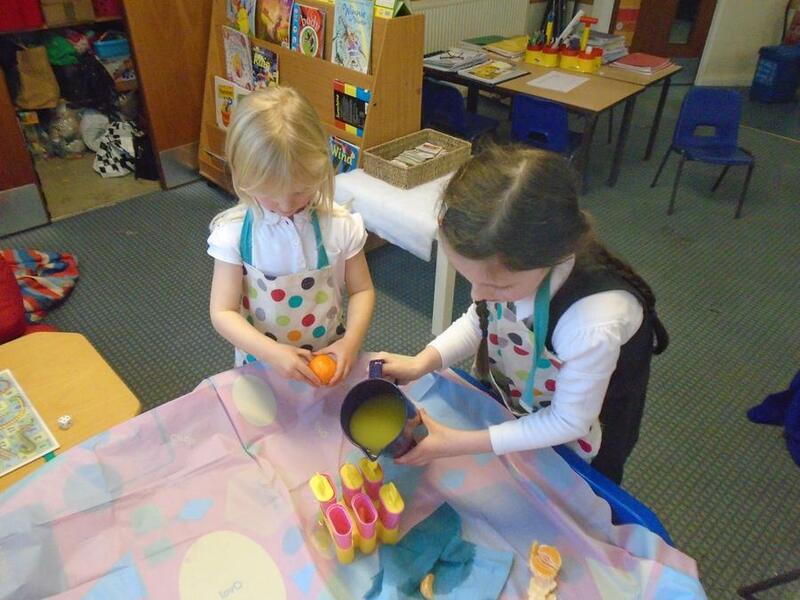 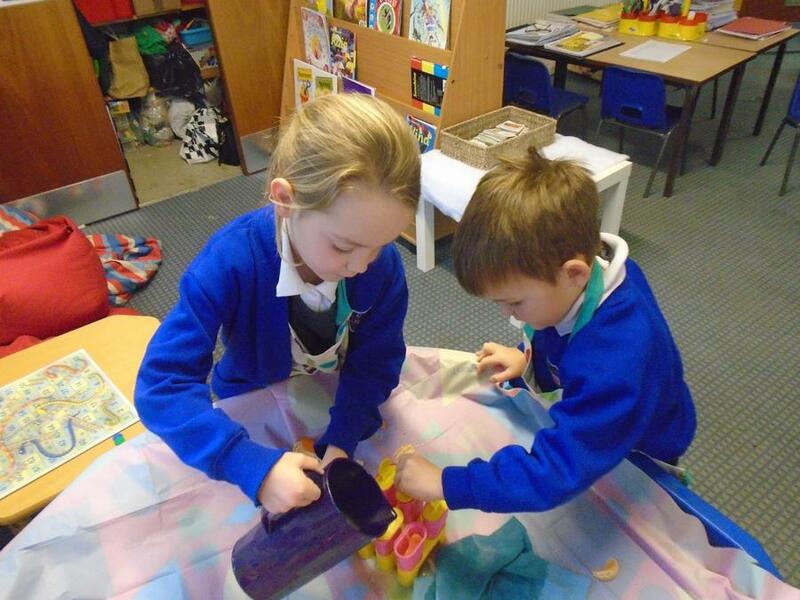 We have been very busy experimenting with different media to see which ones create the best images. 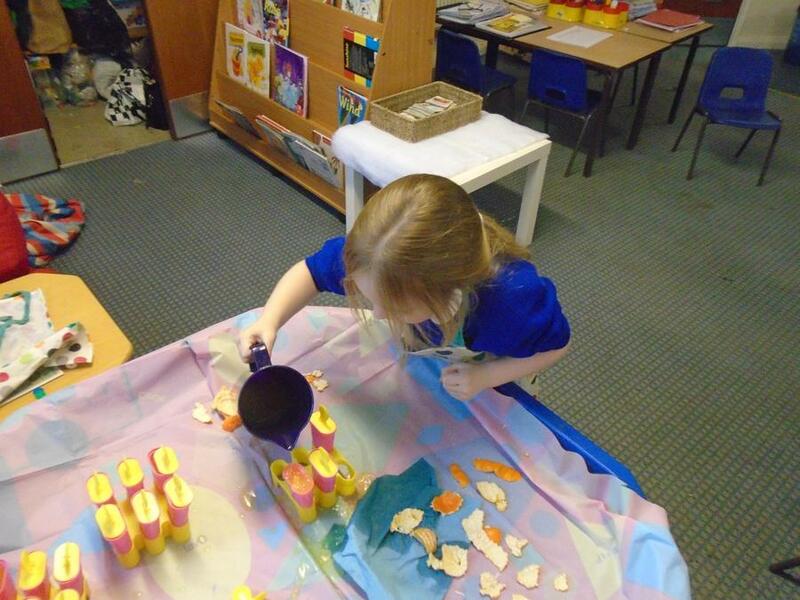 So far we have used wax crayons, watercolours, chalk and oil pastels. 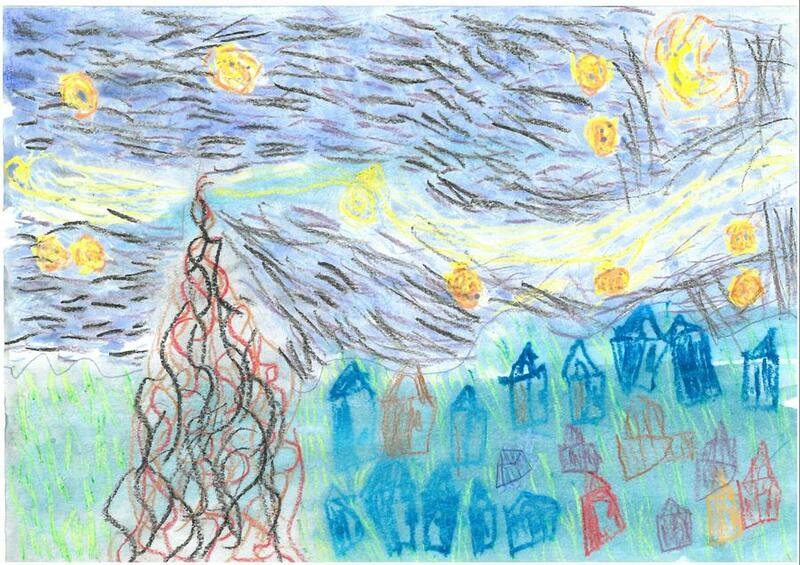 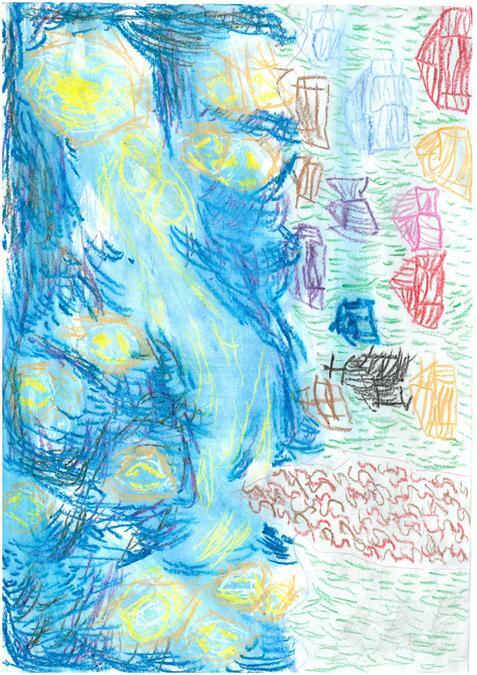 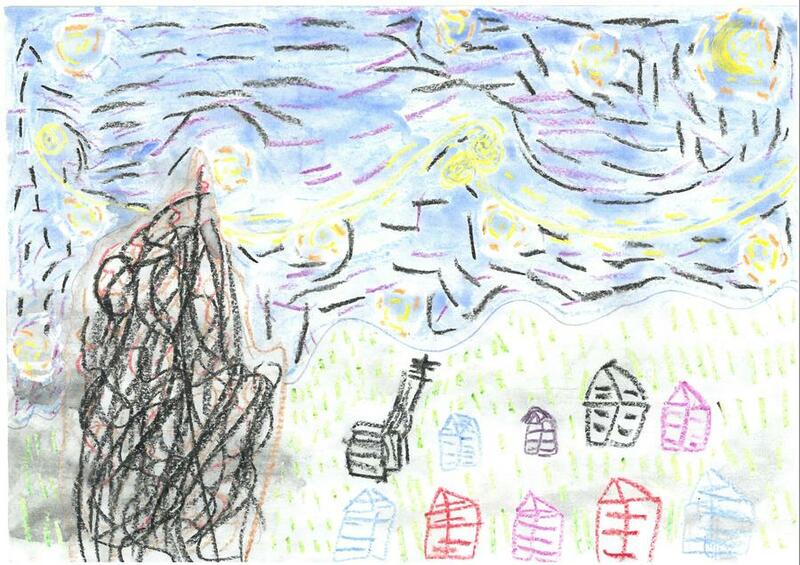 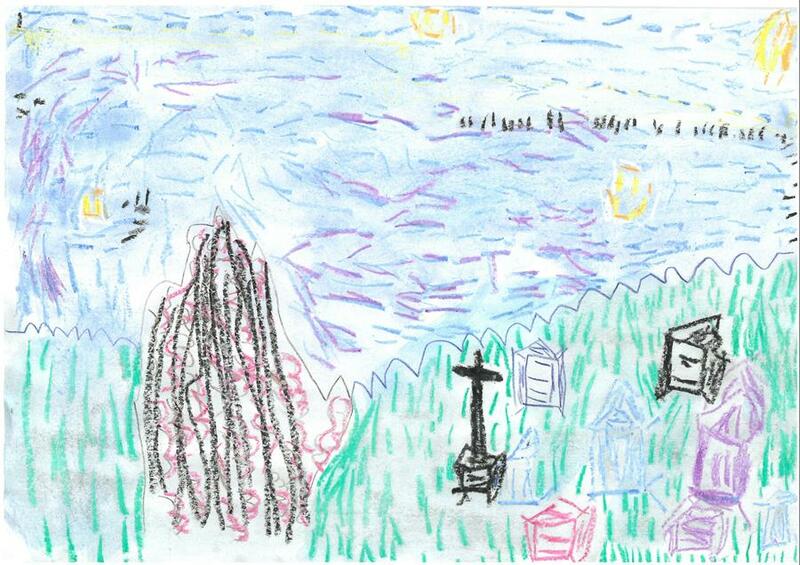 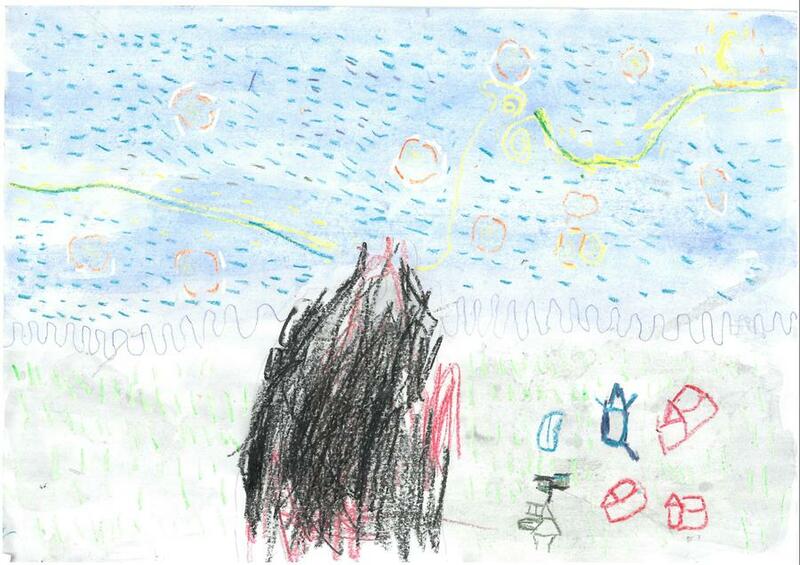 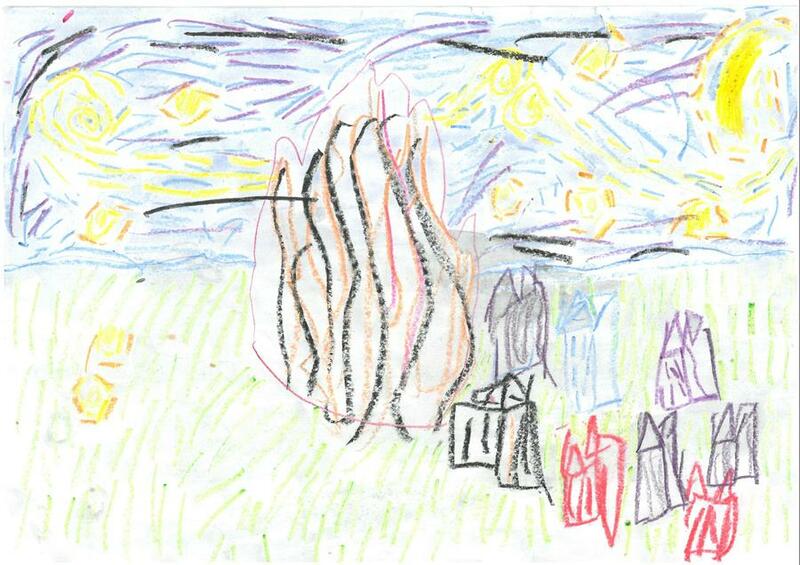 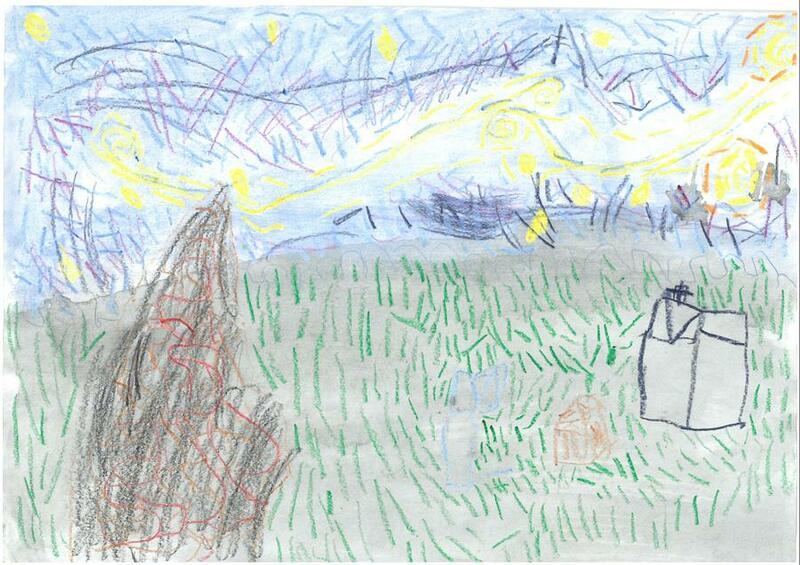 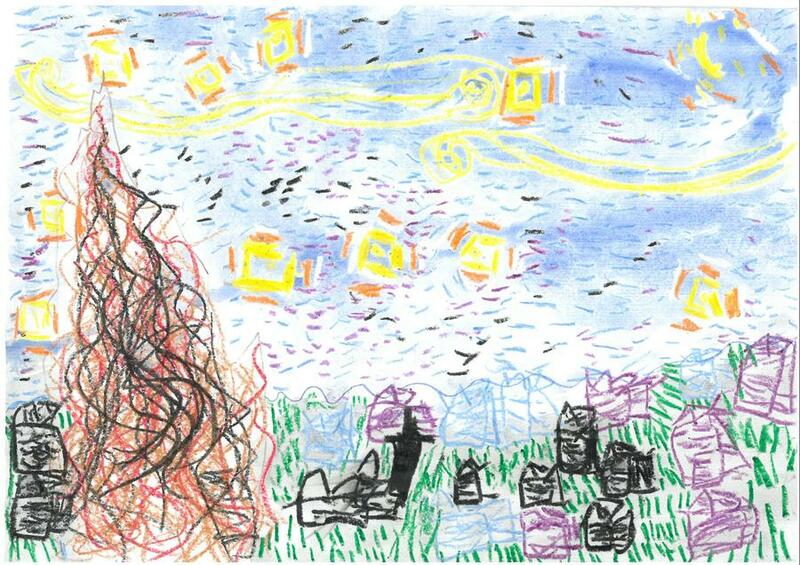 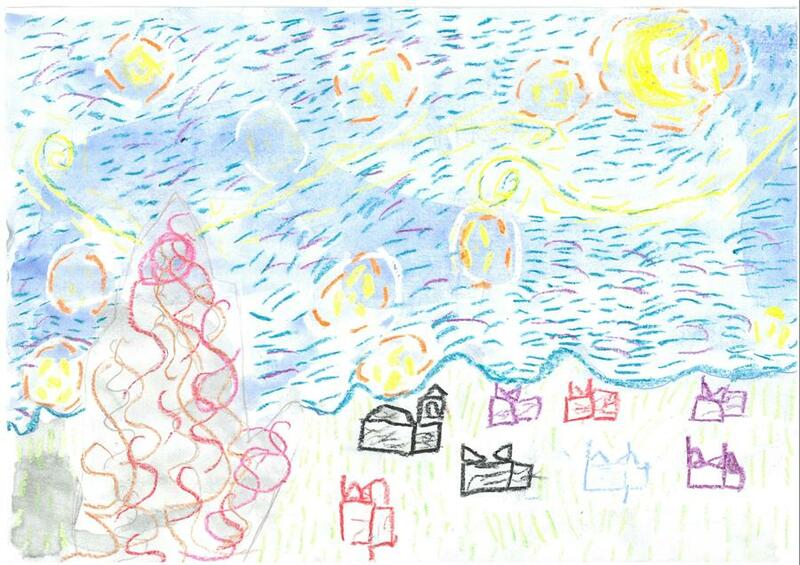 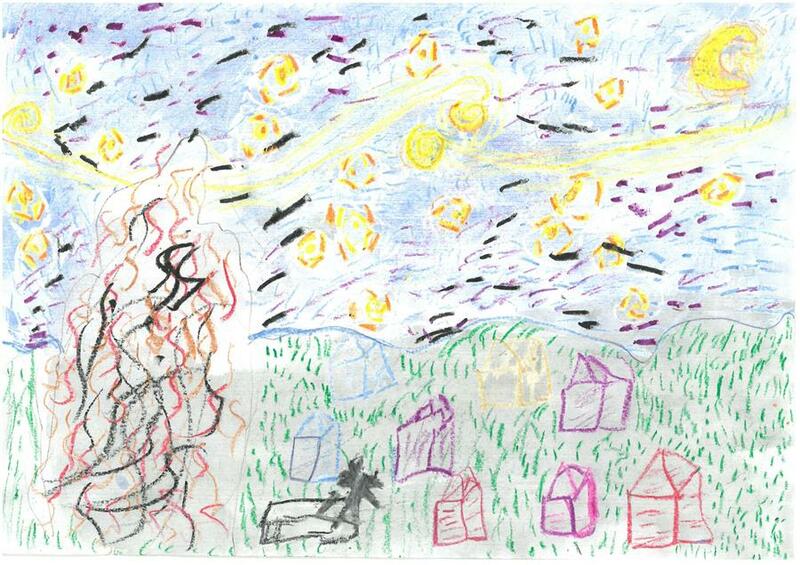 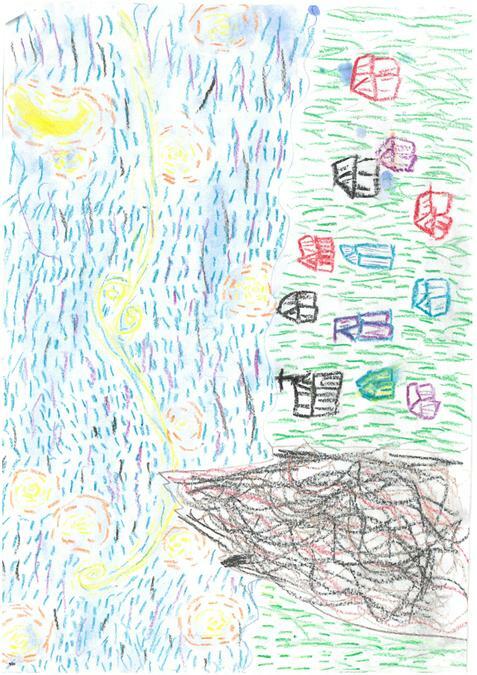 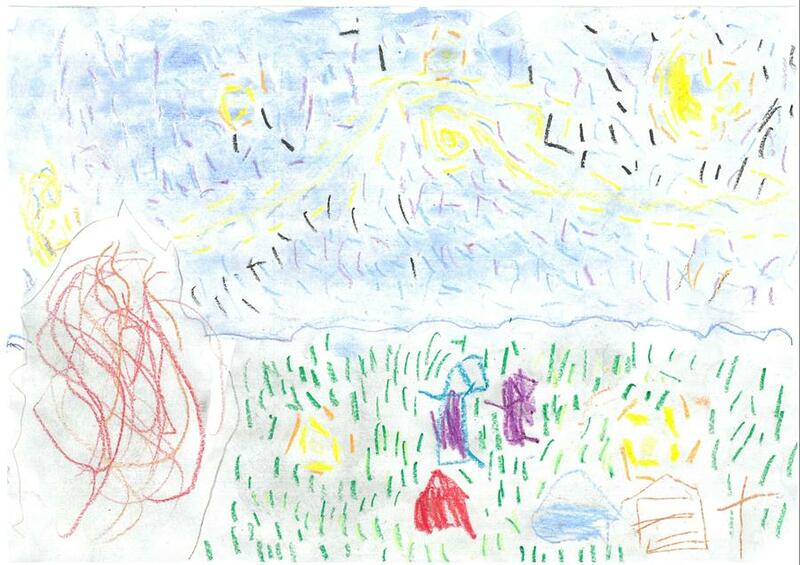 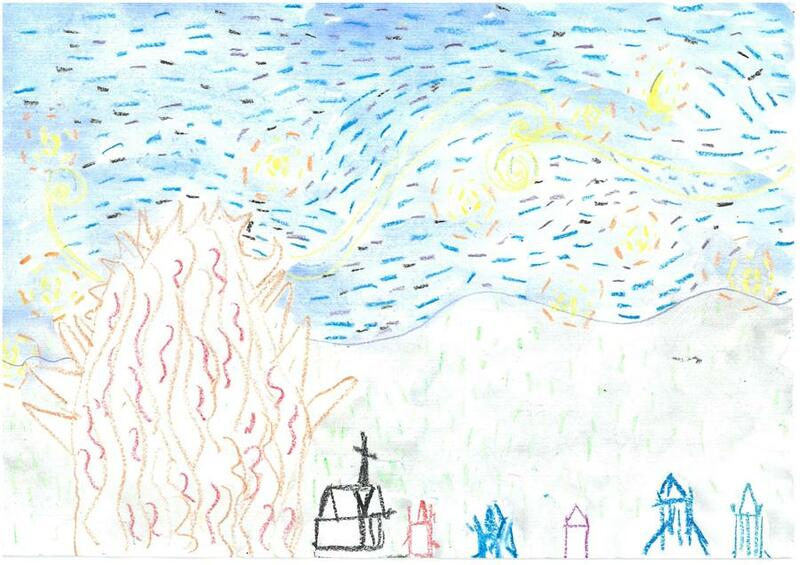 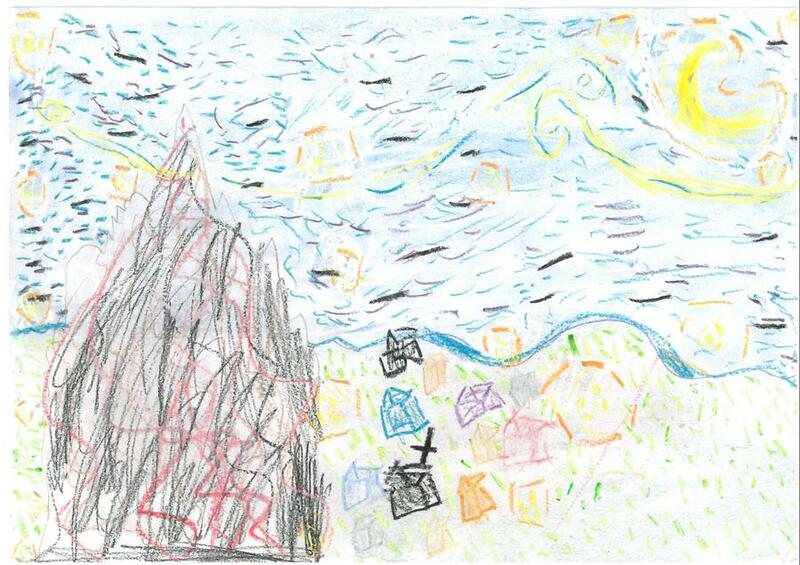 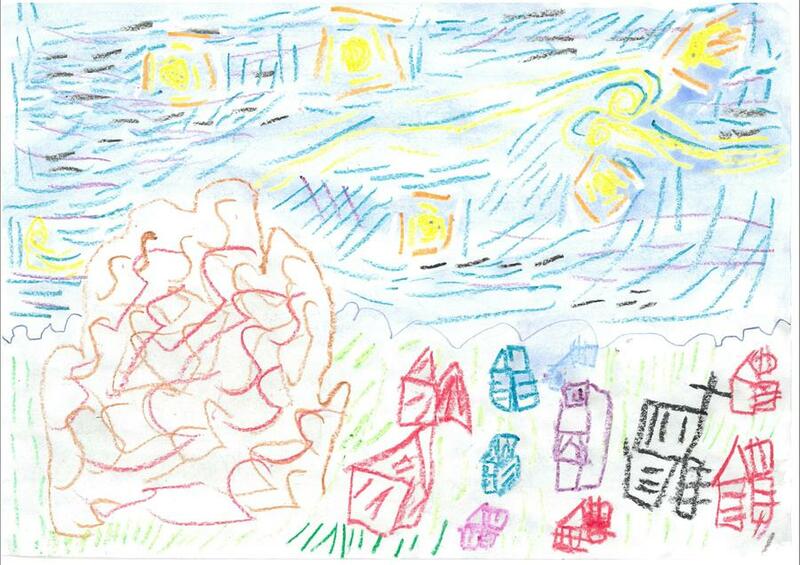 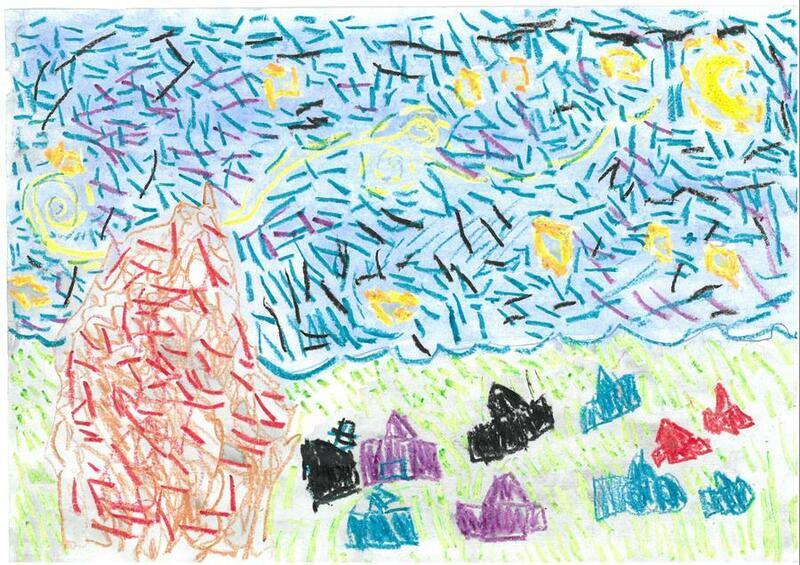 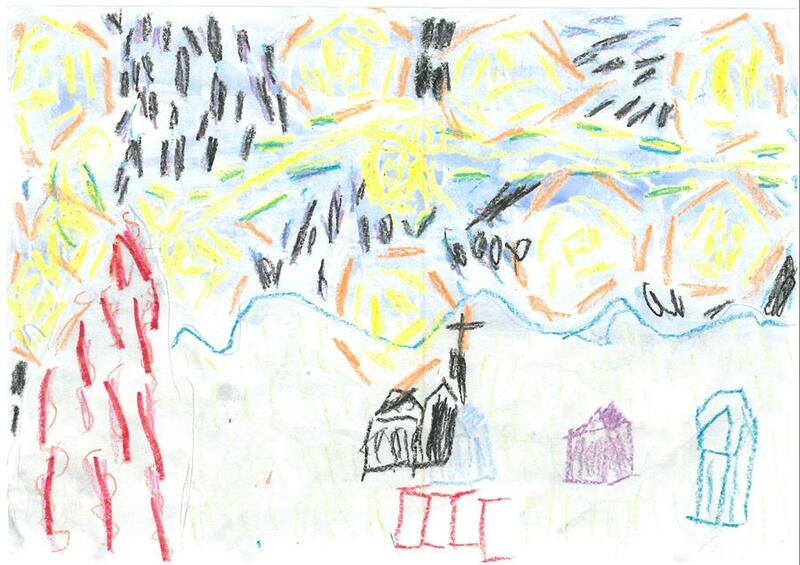 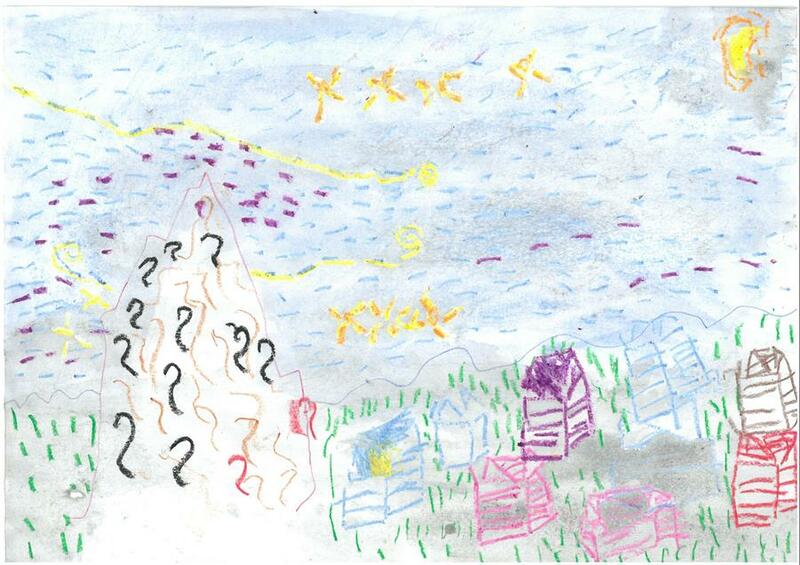 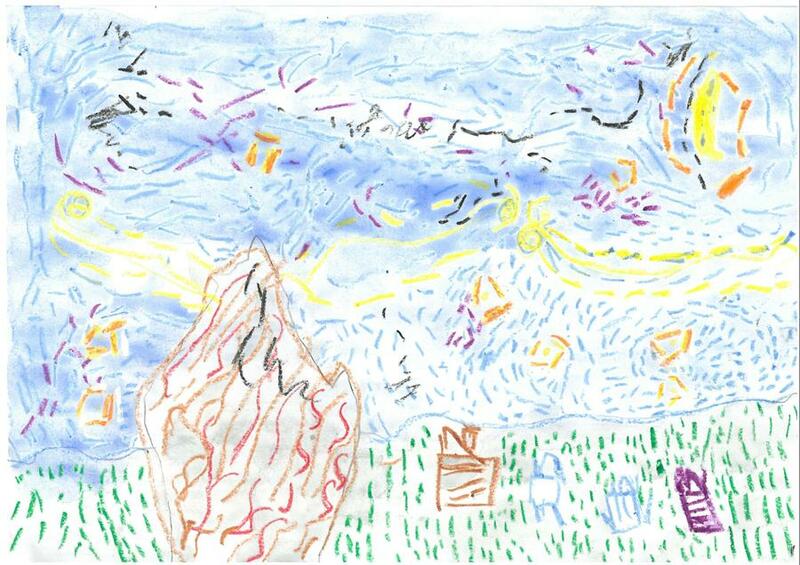 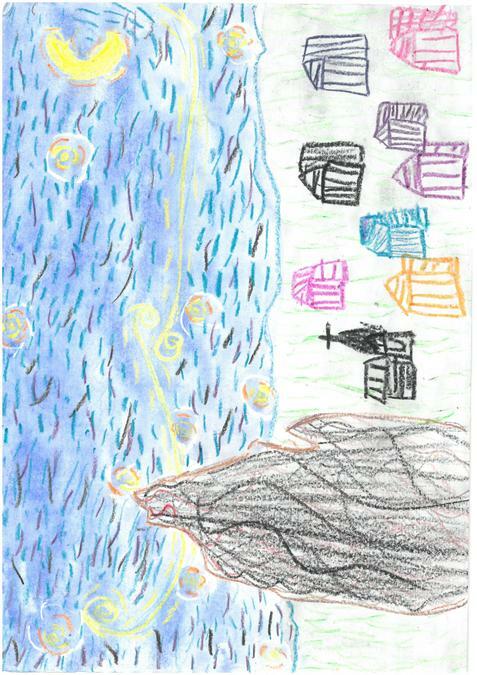 Check out our drawings below of the Aurora Borealis (Northern Lights) and Vincent Van Gogh's Starry Night. 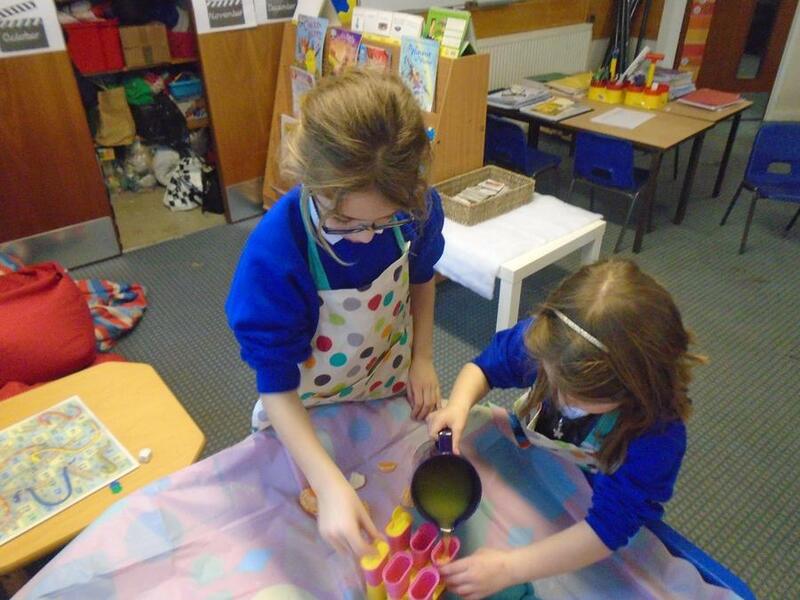 Science, Literacy and Design & Technology all rolled into one. 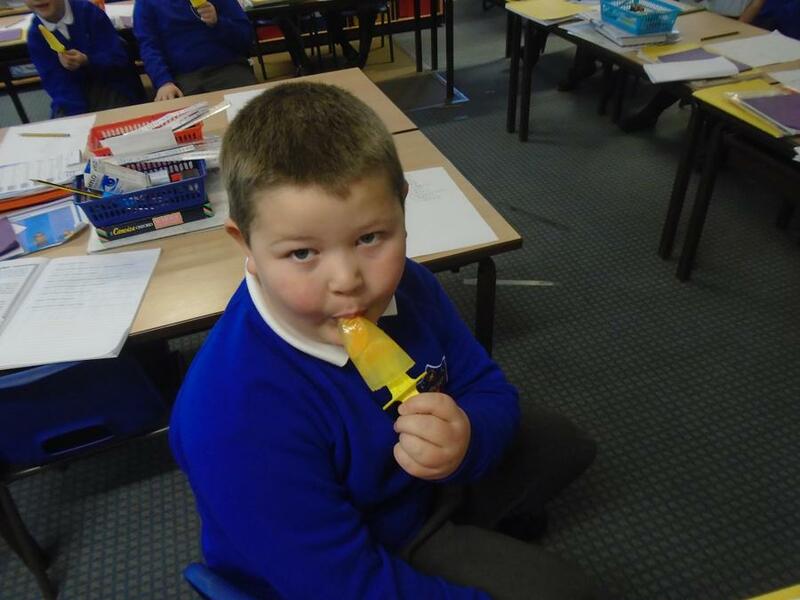 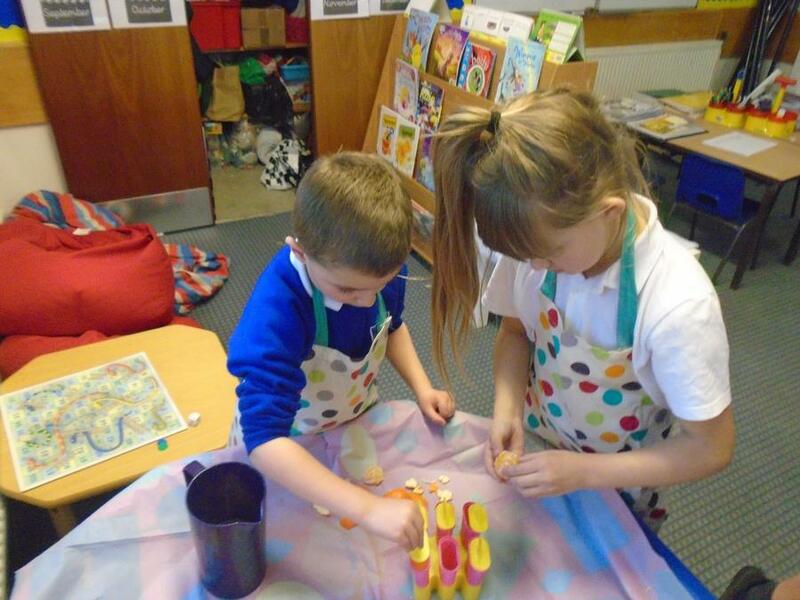 We wrote a set of instructions of how to make a lolly, then we used our DT skills to make them. 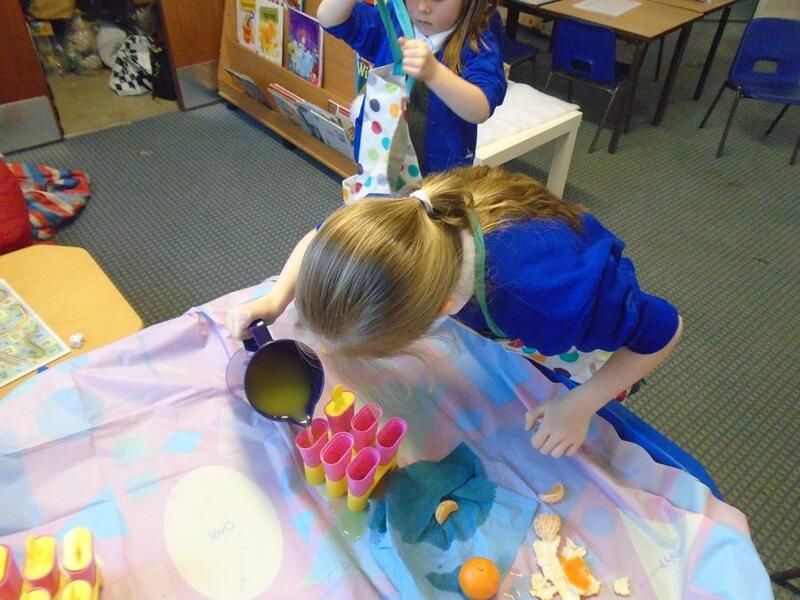 Next we put them outside to complete a science experiment. 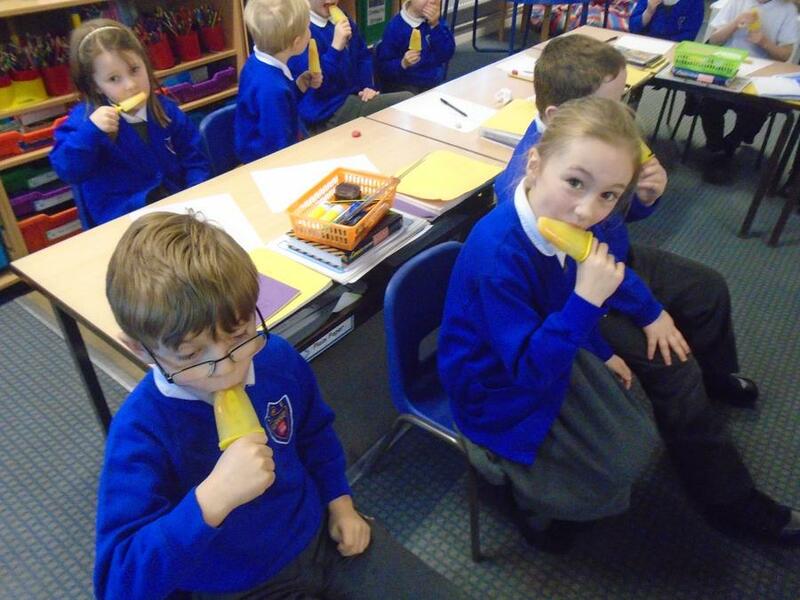 We wanted to check if it was cold enough overnight to make them freeze. 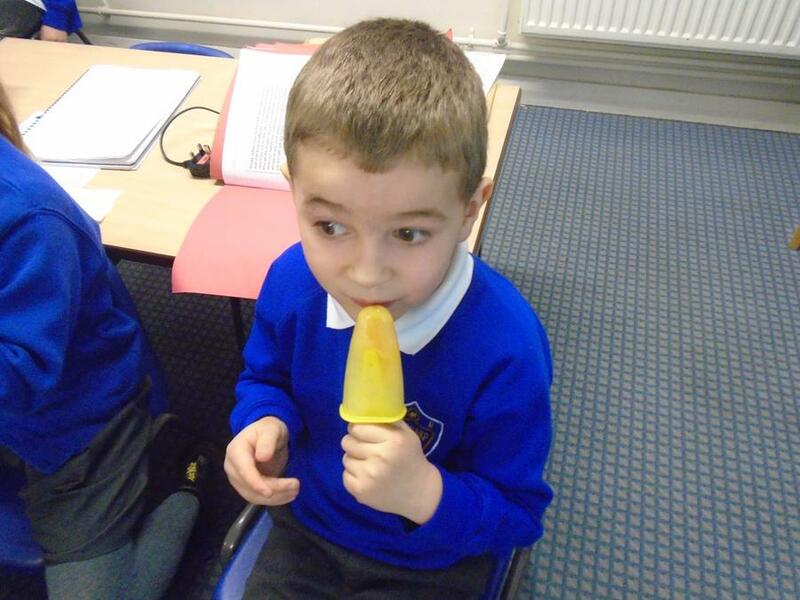 Sadly it wasn't, so we had to use a freezer. 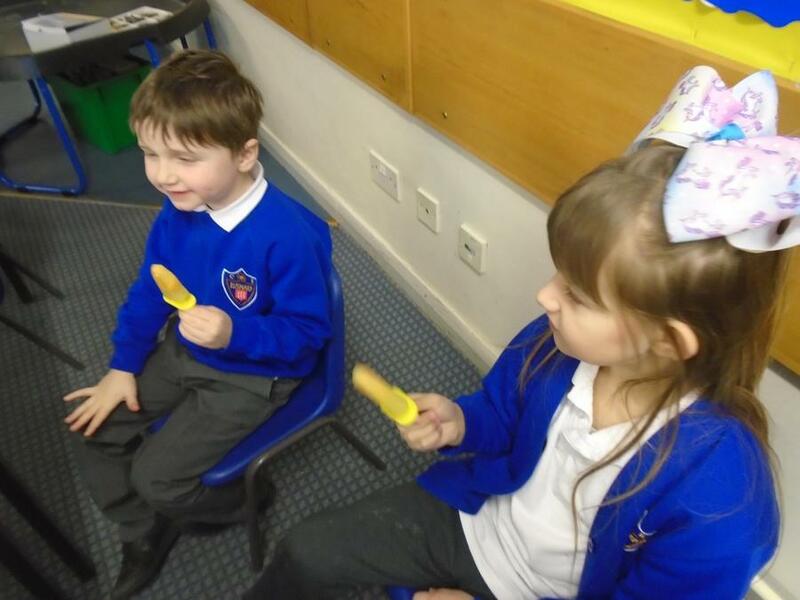 Then the best bit of all, we ate them.